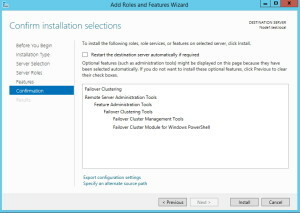 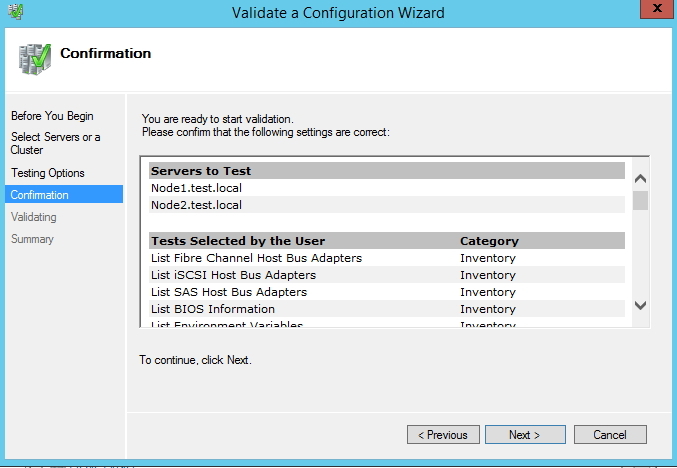 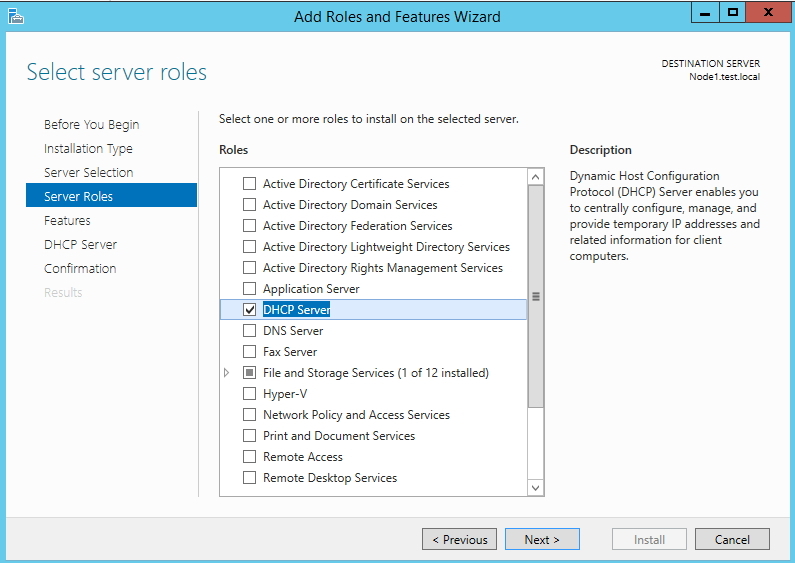 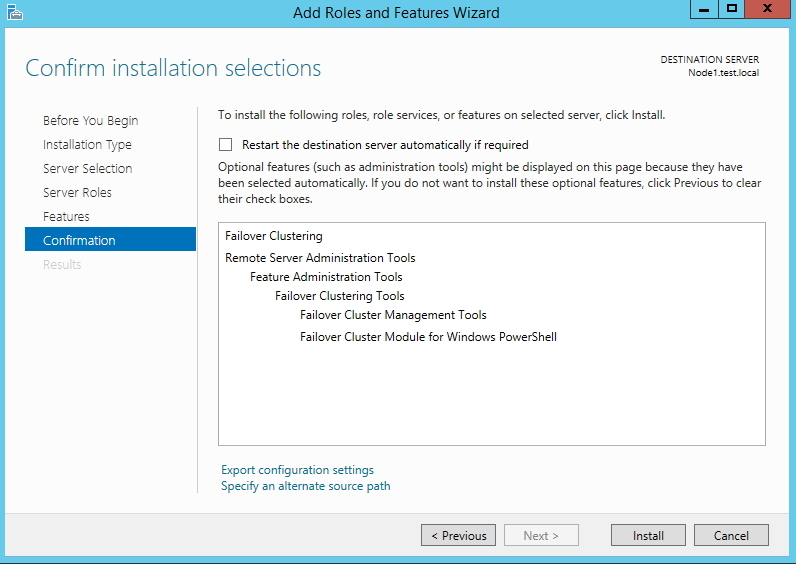 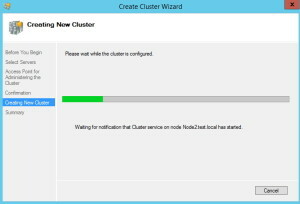 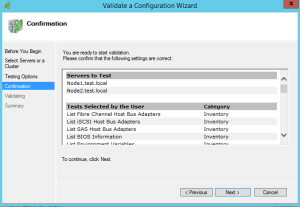 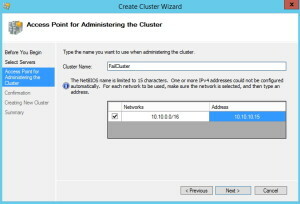 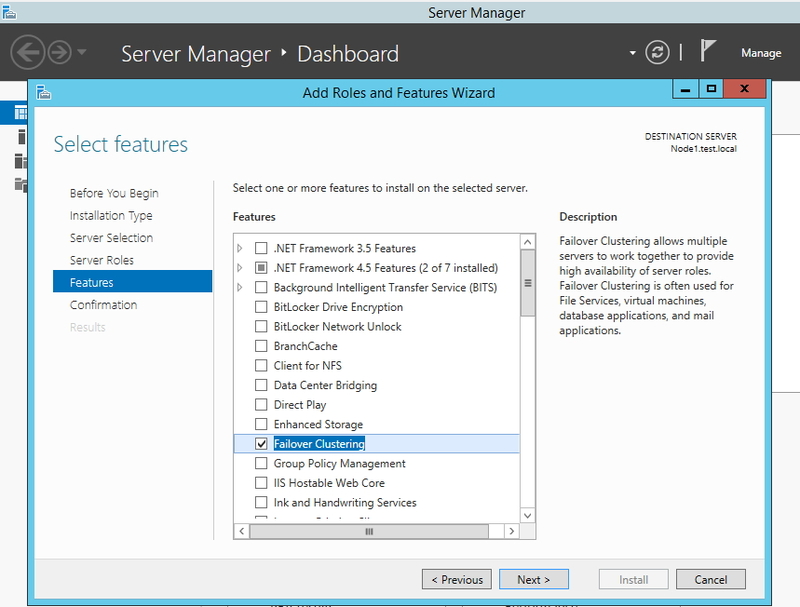 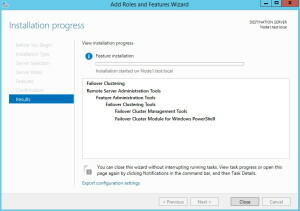 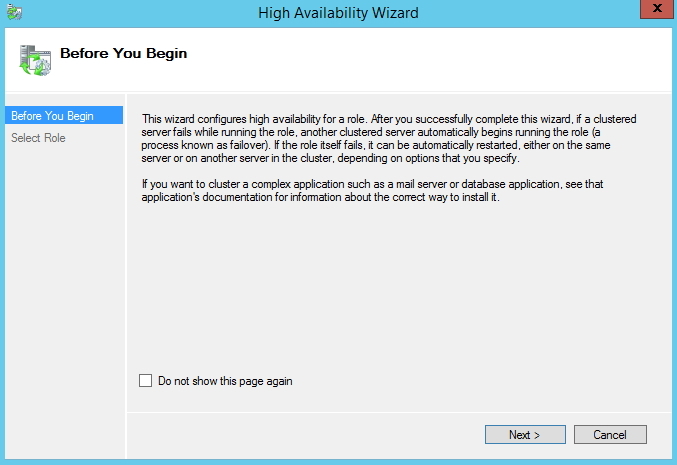 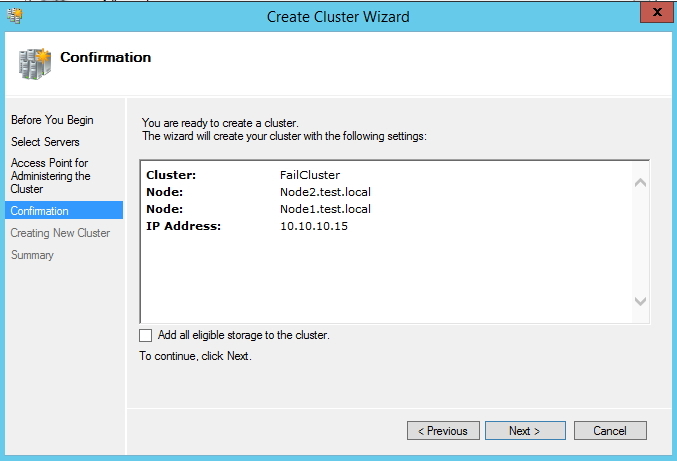 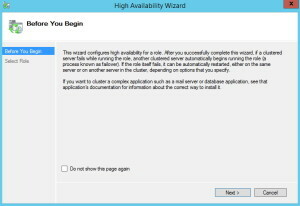 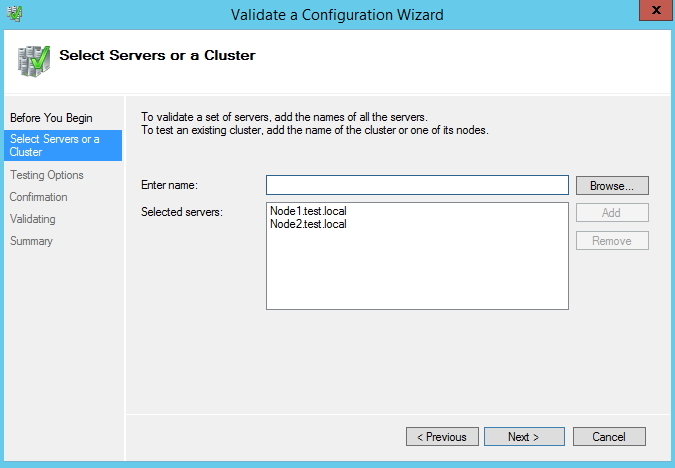 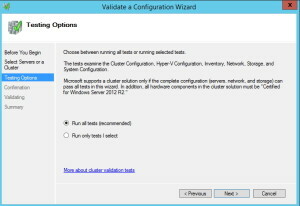 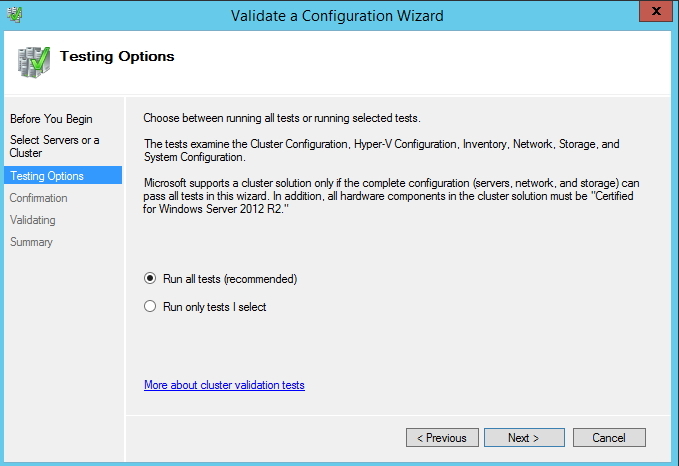 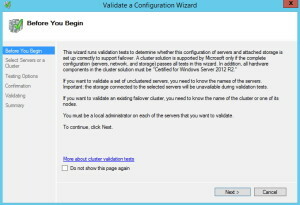 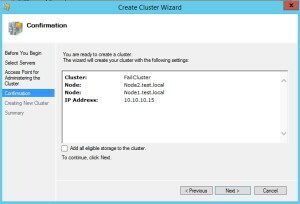 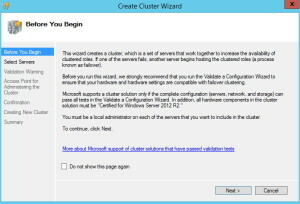 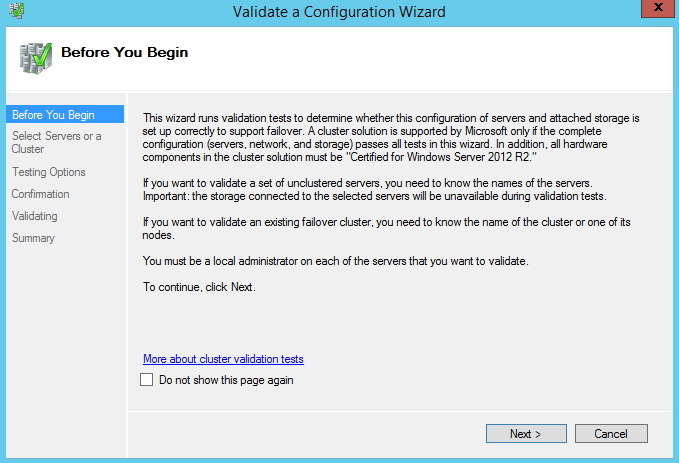 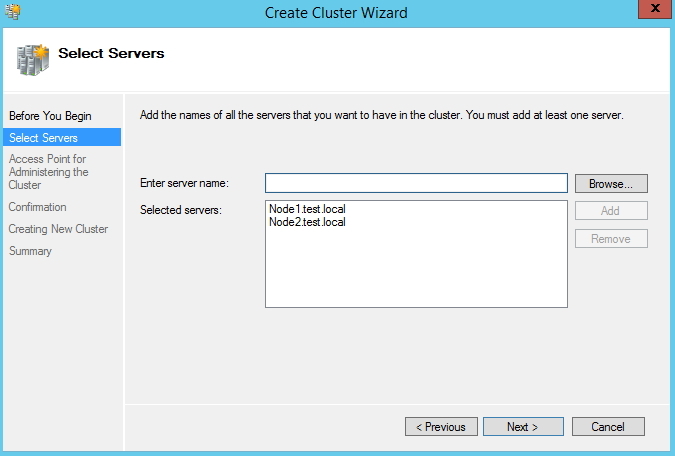 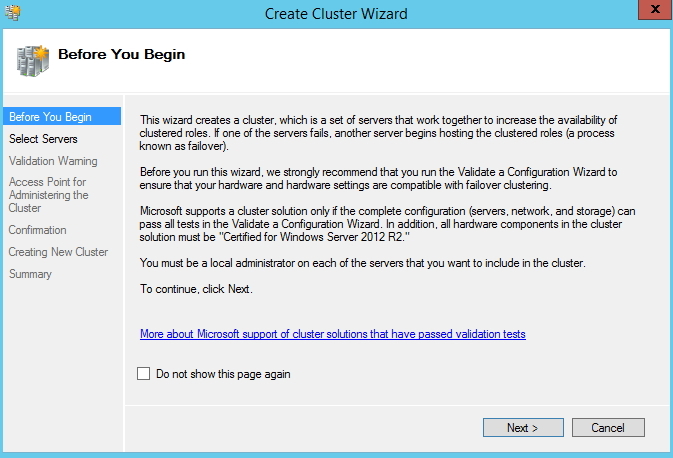 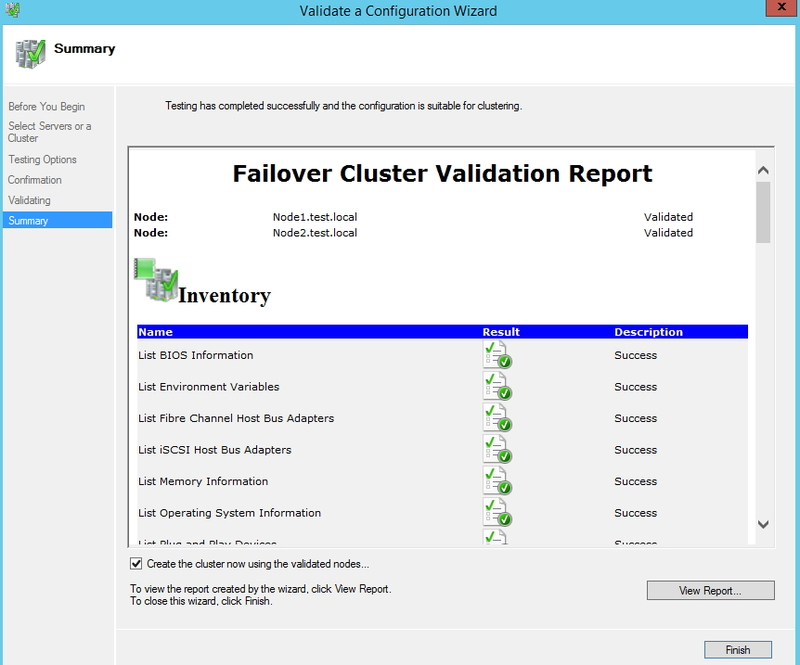 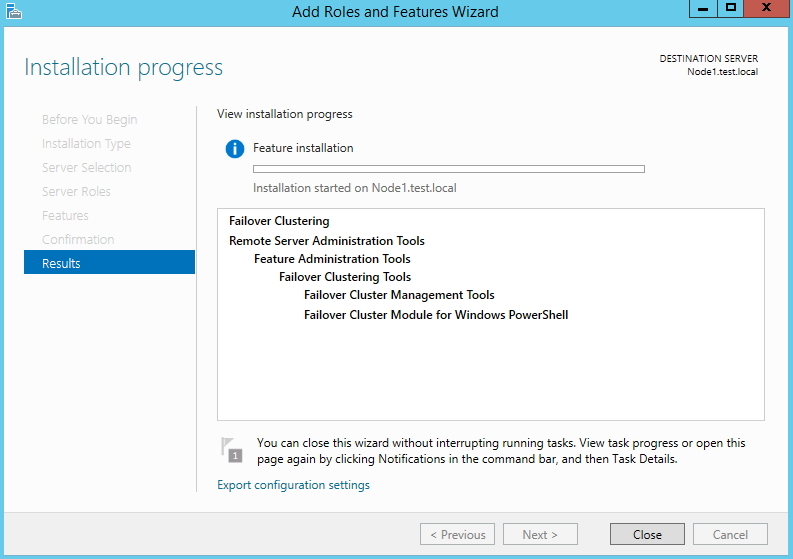 In this article I`m going to explain how to configure Failover Clustering Service in Windows Server 2012 R2 Standard. 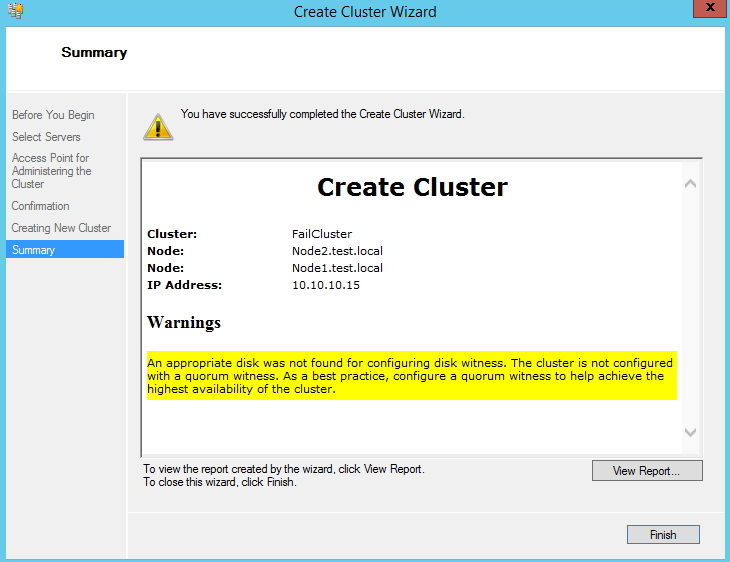 For this LAB I installed Starwind FreeSAN as iSCSI Target since it gives me HA for iSCSI Target. 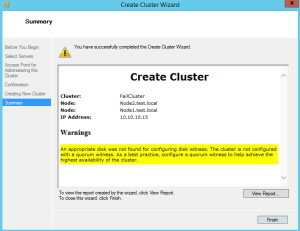 LAB needs to have configured domain, iSCSI target has to be set up and set to both Cluster Nodes via iSCSI initiator and MPIO. 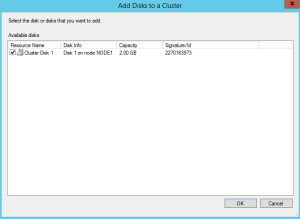 I will not describe here domain setup, iscsi target setup, and iSCSI initiator and MPIO setup. 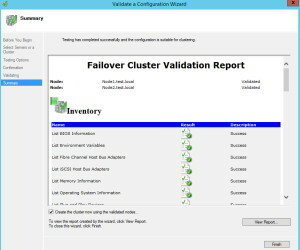 For your LAB (or production) you can configure iSCSI Target with Windows Server iSCSI Target or use Starwind Virtual SAN if you don`t want iSCSI to be single point of failure. 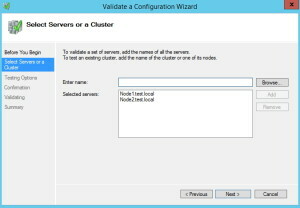 I described Starwind Virtual SAN in my other articles, so you can see there how to set it up. 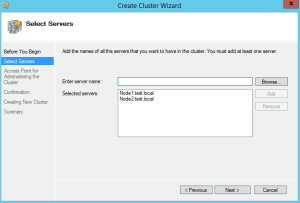 Create two separate physical networks and subnets for LAN and private communication between cluster nodes. Installation successful. 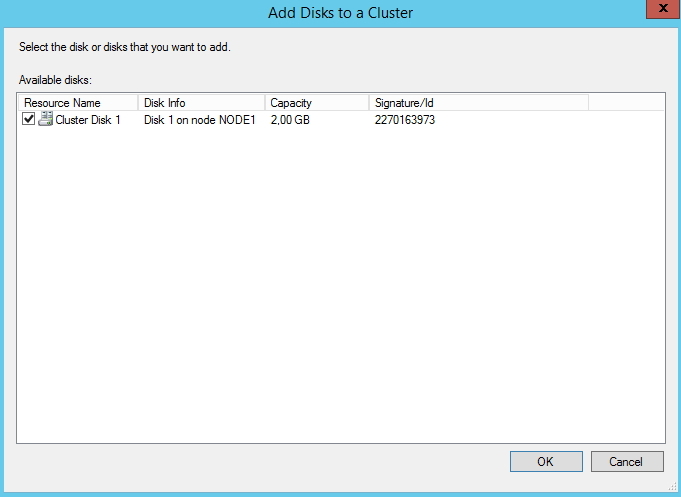 Repeat this procedure on second Node! 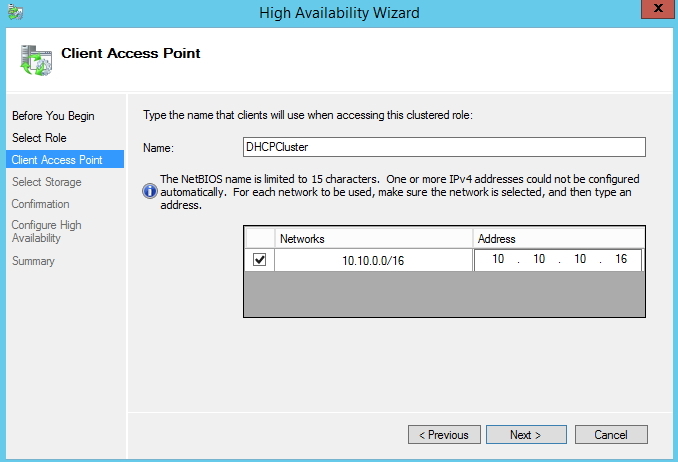 Before Validating Cluster be sure you set network configuration (LAN and private network should be in different subnets) and attached disks via iSCSI initiators and MPIO to both nodes. 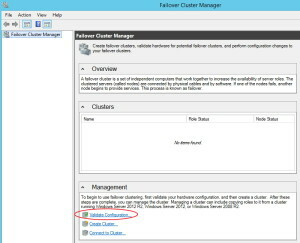 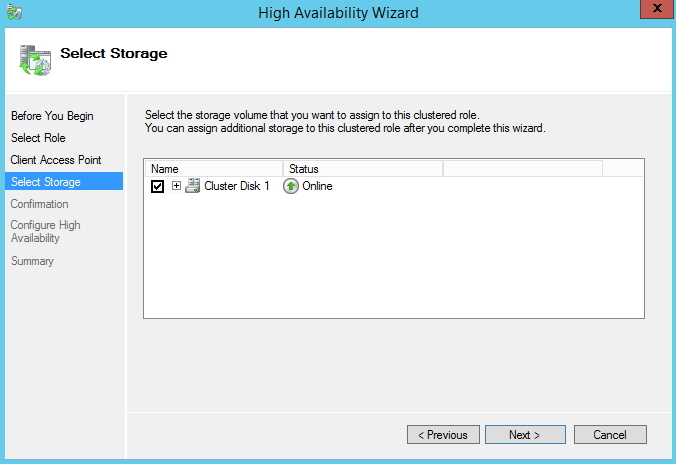 In order to achieve Cluster Shared Volume disk, iSCSI target that you are planning to use needs to have iSCSI 3 support. 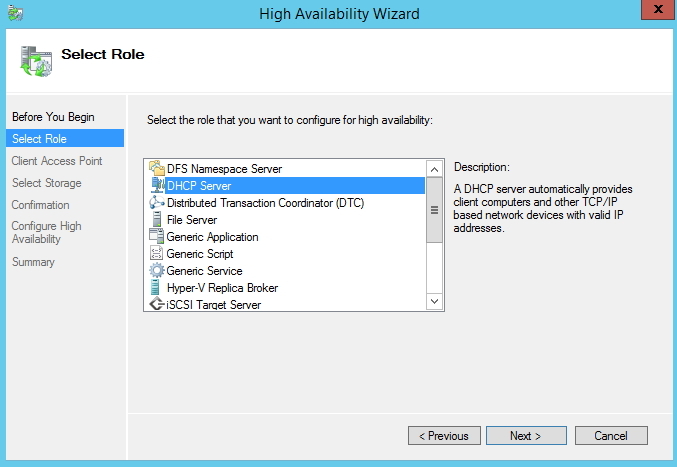 First we need to install DHCP via Server Manager. 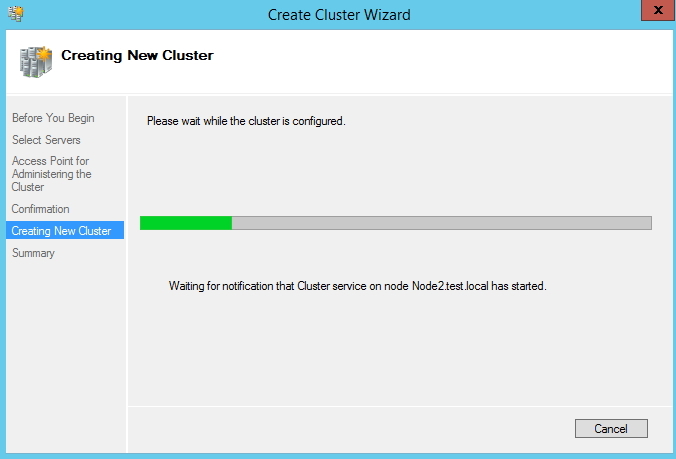 Installation is needed on all nodes. 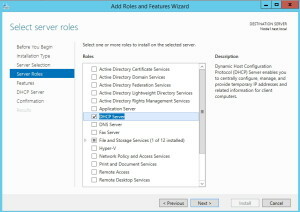 I won`t be going through installation of a server role. 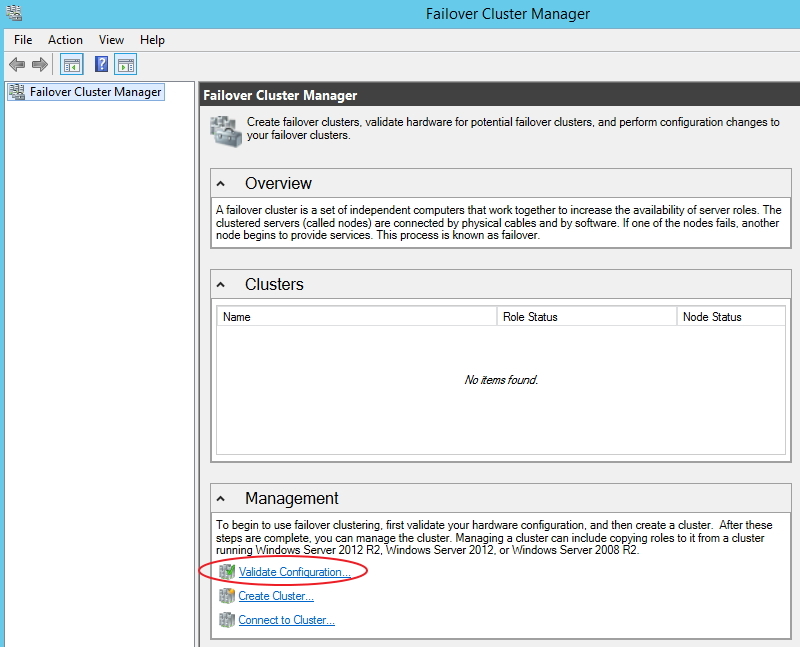 Procedure is same as for Failover Cluster feature we installed in the beginning. 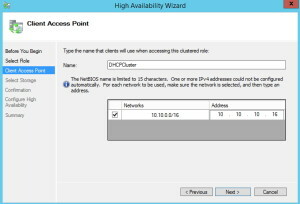 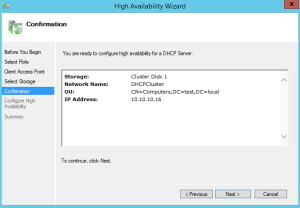 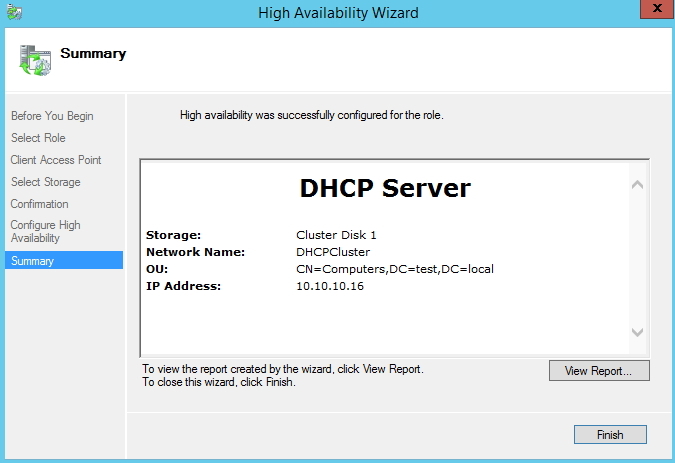 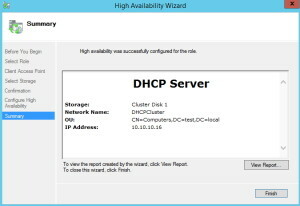 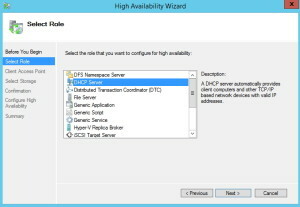 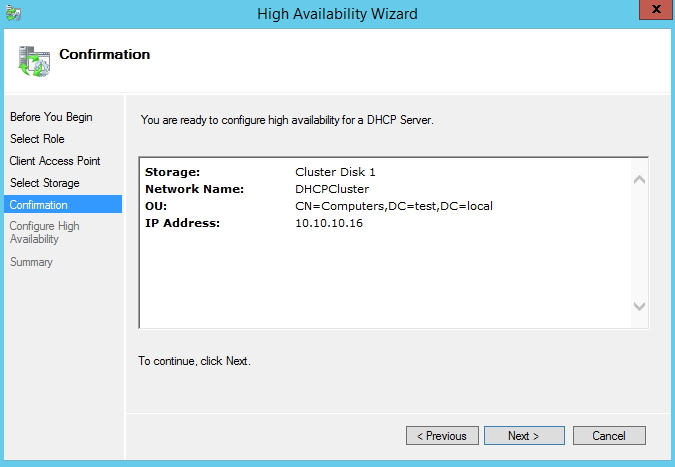 You`ll probably want to configure DHCP, so you`ll need to click on Manage DHCP Server and configure DHCP service through Failover Cluster Manager. 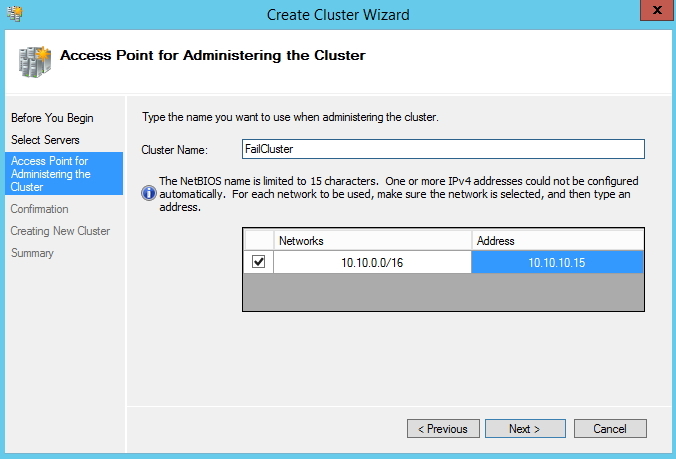 With this step we finished creating Failover Cluster service and adding DHCP service to it. 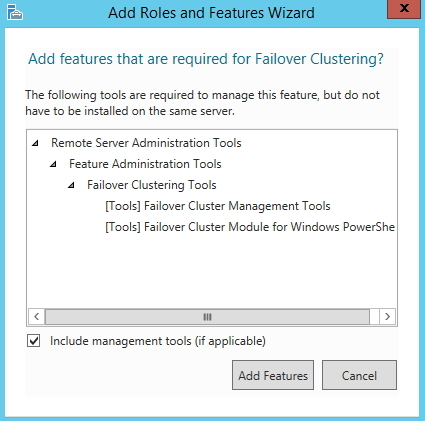 Adding any other service or app to Failover Cluster is similar to this procedure.